Bayview Cabins are independently owned units with some available for rent. 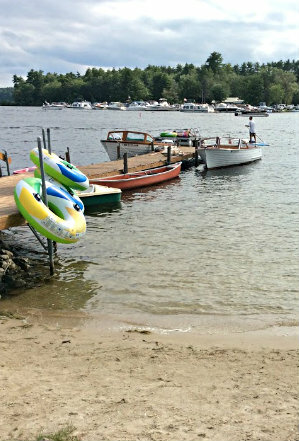 Our waterfront location on Brandy Pond in Naples, Maine offers a private sandy beach, boat docking facilities, and restful escape from the busy world. Located just below the causeway bridge at the northern tip of Brandy Pond, we are at the center of more than 40 miles of connected waterways. 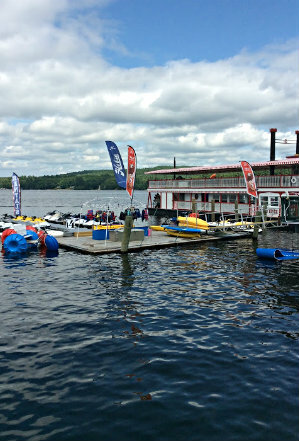 Stretching north on Long Lake to Harrison, and south through the Songo River to Sebago Lake (Maine’s second largest lake), water adventures are endless. 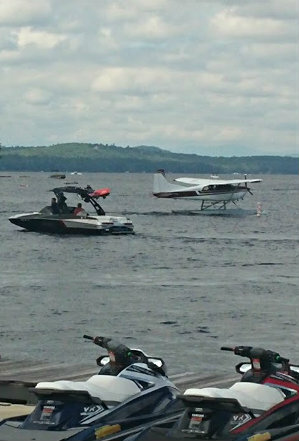 Enjoy a scenic boat ride or freshwater fishing, cruise on a paddlewheel river boat, fly by on a jet-ski, or even take to the sky for a seaplane tour. On land, relax on your porch with a good book, take a swim, or sit in the sun at the dock. 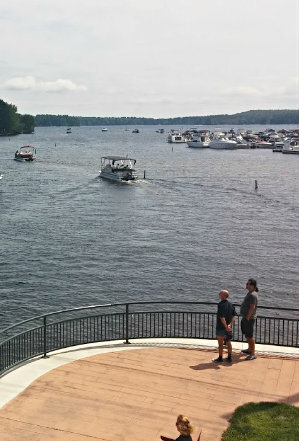 We are within easy walking distance to shops, restaurants, and attractions in the village of Naples, just a short drive to conveniences in Bridgton, and less than an hour from fantastic Portland, Maine, and outlet shopping in North Conway, New Hampshire. With so many options, you’ll never find yourself bored! Make Bayview Cabins on Brandy Pond your destination for relaxation, boating, and all the outdoor recreation adventures in the Lakes Region of Maine. The conversion is complete – Bayview Cabins is now a condominium association with individual, private ownership of all the cabins. Some of our unit owners can be contacted directly for rental availability and information – go to RENTAL CABINS for details. With this change effective at the end of the 2018 season, our former property office is now closed. We no longer offer online reservations or availability information. Unit owners now make ALL arrangements directly with renters, and those contracts and communications constitute the official record regarding your rental. All information provided on this website regarding individual units is believed to be accurate, and other information presents the known agreements and policies regarding the property as whole.